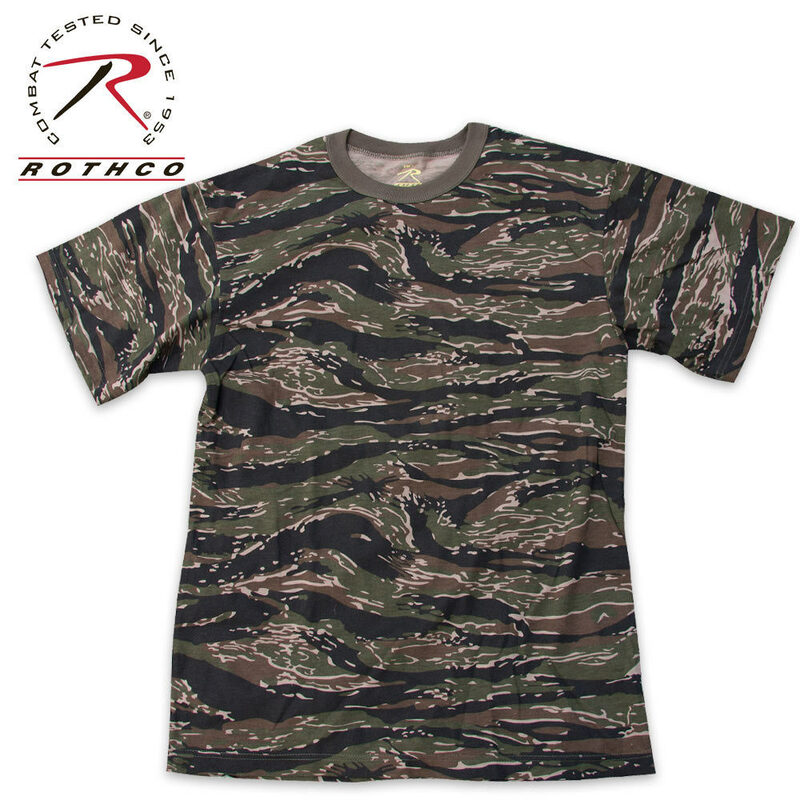 Rothco Tiger Stripe Camo T Shirt | BUDK.com - Knives & Swords At The Lowest Prices! This Tiger Stripe Camo t-shirt is comfortable to wear for both military and civilians. Cool shirt, however unless you weigh less than 120lbs.order the extra-large or larger I ordered the lg. and it looked ridiculous on me. Had to give it to my 9 year old nephew and it looked small on him.ORDER LARGE!!!! Nice shirt. Delivered on time. Thicker that the catalouge pics. I like it and would recommend it.